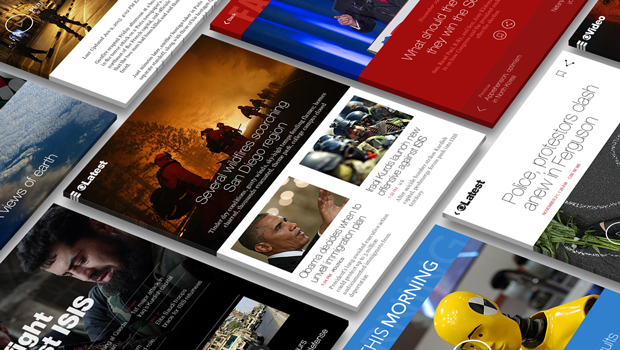 CBS News is excited to announce its new app for Android devices. Reimagined, redesigned and relaunched, the new CBS News app will help you stay on top of breaking news and the latest stories from around the world, with easy navigation, compelling images and a wealth of high quality video. Our app lets our readers browse and search the latest news stories in our U.S. News, World, Politics, Science/Technology, Health, Entertainment, Moneywatch and Crime sections. And we'll keep you informed with up to the minute notifications on breaking news as it develops. The CBS News app also puts our new 24/7 streaming news channel, CBSN, right in the palm of your hand. Watch live anchored coverage, original reporting and breaking news in an innovative interactive video experience. You can also pick and choose the stories that matter most to you with our on-demand videos. And on top of all our outstanding online news coverage, you can watch clips and full episodes from CBS News programs such as CBS Evening News, CBS This Morning, 60 Minutes, 48 Hours, Sunday Morning and Face the Nation. With updates throughout the day, the CBS News App is your one-stop source for comprehensive new articles, videos and commentary from respected journalists. Get the FREE CBS News app for Android devices on the Google Play story here.